Industry standard. 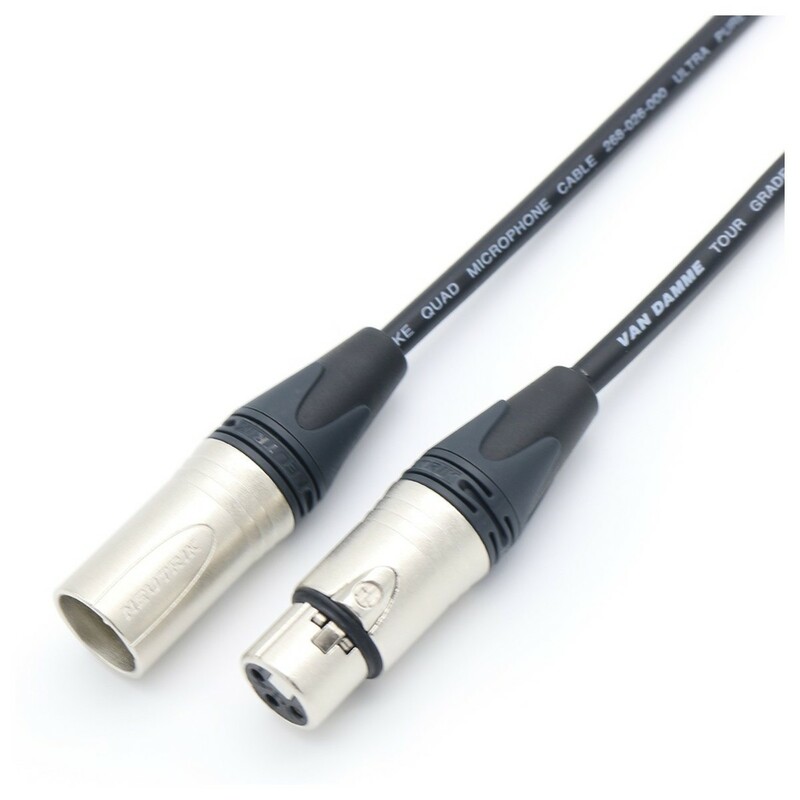 The Van Damme Tour Grade Classic XKE Starquad Microphone cable combines flexibility, durability and noiseless operation. With upgraded PVC jacketing materials, Van Damme's hardwearing microphone cables are designed for long-lasting, comfortable handling. A top-class favourite in film and recording studios. Van Damme's microphone cables are a people's choice in high street music shops, professional touring applications and the education sector. The Neutrik NC3MXX XLR to NC3FXX XLR offers a professional solution to sound production. Designed to meet the requirements for the highest density jackfields, Neutrik sets standards in the industry. The X series offers all new features which make cables and connectors both more reliable and easier to assemble. With improved durability, as well as cable strain relief, the Neutrik jack plug is made to last.